Just past Sea Mountain Highway in North Myrtle Beach and only 4 miles from the ocean you'll find one of the best marinas and yacht clubs along the Grand Strand. The Coquina Harbour Marina offers a connection to the Atlantic through the Little River Inlet, and accesses the Intracoastal Waterway leading to Myrtle and North Myrtle Beach as well as north to Calabash, NC. The Coquina Harbour condos offer choice and affordability for a permanent resident or second home owner. The Marina is bordered on both sides by luxury condominiums, Lightkeepers Village to the south, and a group of individual condo complexes collectively known as the Coquina Harbour condos to the north. The Coquina Marina condos are made up of four communities: Harbour Front Villas, Nassau Court, Bimini Court, and the recently gated Harbour Ridge. The marina is ringed with a one and a half mile boardwalk, most of which presents a boat slip every few feet. Closest to the entrance of Coquina Rd you find the Harbour Front condominiums. This community about 10 years old and has a great location. The units are large, have 2 and 3 bedrooms, and most are sitting right on the boardwalk. 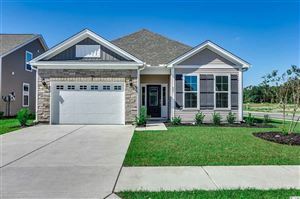 They are under $200,000 with elevators and upgrades such as vaulted ceilings and split-level floor plans. Harbour Front has a relaxing pool, spa, and deck area that overlooks the yacht basin. Some units are offer peaceful views of an adjacent golf course. Next are “sister” complexes, Nassau Court and Bimini Court. These condos sometimes include a boat slip with the purchase, and are directly on the marina's boardwalk. These $300,000 condos have a clubhouse and beautiful pool and may be the grandest of all the condos bordering Coquina Harbour. The smaller gated condo community at Harbour Ridge is at the end of the street with beautiful views of the marsh and the Little River Inlet. 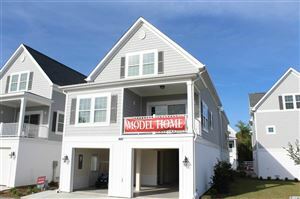 These private condos are landscaped, well kept, and offer residents a beautiful pool and Jacuzzi overlooking the marsh. These great units can be purchased in the $100,000 range! As the #1 selling real estate agency along the Grand Strand, RE/MAX Southern Shores agents can assist you with purchasing a condo or investment property at Coquina Marina that is suited to your needs. RE/MAX Southern Shores invites you to access listings for Marina condos by using the search features on the left of this website. Then call a RE/MAX Southern Shores agent at 843-839-0200 for personal attention to find the housing option that is just right for YOU! It is no wonder that so many buyers choose Coquina Harbour Marina condos in North Myrtle Beach as the location of their new home. All one has to do is take a drive through the community to see all Little River has to offer. RE/MAX Southern Shores real estate agents are very familiar with the Inlet area in which the condos are located, and we would be happy to take you on a tour of this subdivision as well as any Little River community. Simply give us a call at 843-839-0200 to schedule some time to make your real estate dreams come true! RE/MAX Southern Shores’ reputation has been built upon unsurpassed customer service. RE/MAX Southern Shores agents focus on YOUR wants and needs related to the home buying/selling process. Contact RE/MAX Southern Shores at 843-839-0200 regarding Coquina Harbour or any Grand Strand MLS listings. One of our expert agents can assist you in locating and purchasing any listed real estate property that it perfect for YOU. If you have been dreaming of beach living and want one of the locations close to the ocean, Coquina Harbour condos are the ideal neighborhood for you. Contact RE/MAX Southern Shores today at 843-839-0200 to talk with an agent about making Coquina Harbour your next home!